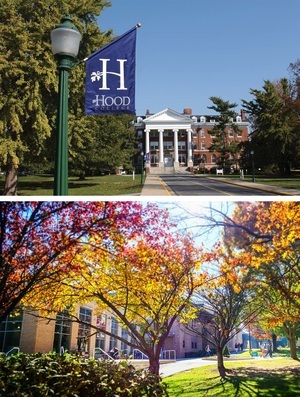 The Spring 2019 Meeting of the MD-DC-VA section of the MAA will be held at Hood College and Frederick Community College on April 12-13, 2019. On Friday, Amy Shell-Gellasch of Eastern Michigan University will run the workshop, Smithsonian Learning Lab: A Hands-on Workshop, and Brian Lins of Hampden-Sydney College will give the banquet address, e in a Box of Cereal. Surprising Places to Find Exponentials and Logarithms in Everyday Life. The Saturday morning address, Splendor in the Graphs, will be given by Jennifer Beineke of Western New England University, and the Saturday afternoon address, Seeing the (Game) Trees for the Forest, will be given by Brant Jones of James Madison University. Additional nominations, before election, will happen at the General Membership Meeting. Thanks to the Nominating Committee members—Jennifer Bergner, Leigh Lunsford, and Minah Oh— for their work. The Spring 2019 Newsletter is online. Highlights include the spring meeting at Hood and FCC, Section Chair and Section Representative reports, Section news and events, Section undergrad essay competition winning entry, a crossword, and more. Fall meeting highlights - The Fall 2018 Meeting of the MD-DC-VA section of the MAA was held at the University of Mary Washington on November 2 – 3, 2018. See this page or this pdf for information on 2018-19 funding opportunities from the MAA. Congratulations to Dan Kalman of American University, the 2018 winner of the Sister Helen Christensen Service Award! If you are interested in making a nomination for either the John M. Smith Award for Distinguished College or University Teaching or the Sister Helen Christensen Service Award, please the Smith Award nomination page and the Christensen Award nomination page. Section History: The section is always looking for information on section history. We are interested in information and stories about section meetings, summer workshops, people, newsletters and institutions. If you have anything to contribute, please email the webmaster.